Stila's Spring collection concentrated on perfecting the skin and the Summer Collection has given us 4 fantastic eye and cheek palettes. I have been slowly picking up the palettes (I have 3 of them and borrowed the last one to show you). The palettes are called Perfect Me Perfect Hue and they contain 5 eye shadows and 2 cheek colours all for a fantastically priced €35.00. The palettes are designed around skin tone and colouring so there is Fair/Light, Light/Medium, Medium/Tan and Tan/Deep. The shades might be designed towards specific skin and colouring you can of course pick whichever palette tickles your fancy. The palettes which grabbed my attention are definitely the darker palettes which had such pretty shades. The palette is the same size as the Stila Correct and Perfect - with gold and subtle leopard print design. The palettes are cleverly curated with the base eye shadow shade being larger (as you will use more) a highlighter shade, a crease shade, a shade for liner and each palette has a standout shimmery metallic shade. As with all Stila shadows they can be used dry or wet for more intense look. There are also 2 cheek colours (which you can use as a eye shadow if you so wish). Stila shadows are very finely milled so they do kick up some powder when you dip your brush so make sure you tap your brush before you apply to the lid. 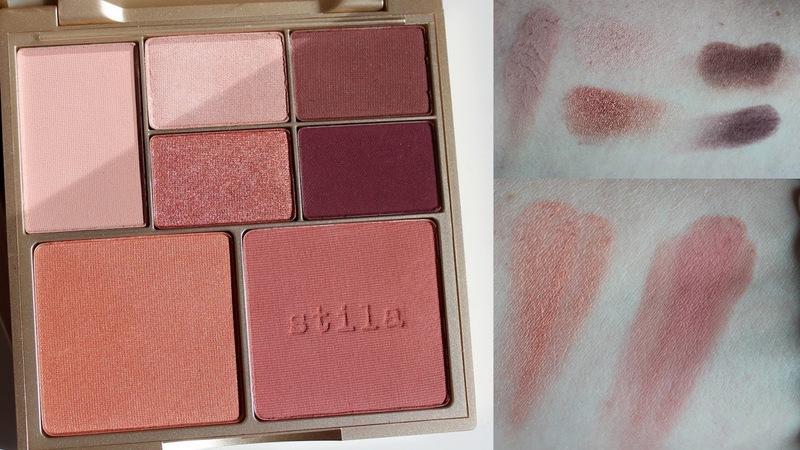 Stila eye shadows are fantastic quality and these palettes are no different. I think the metallic shades which are in the middle of each palette are simply stunning and the quality is outstanding, they are buttery soft and really pigmented. I would love if Stila created a palette made up of all the metallic shimmery shades. First palette to swatch is the Fair/Light palette. This is the only palette I dont own, I borrowed this from my friend who has red hair and very fair skin. My friend adores the palette and uses it every day. The colours are very light (and slightly less pigmented than the other palettes) so unless your are very very fair one of the other palettes will suit you better. Light/Medium is not only beautiful but its also a palette that would be universally flattering. This is the kind of palette that could create the perfect everyday look or a beautiful bridal look. The shades in both the eye shadow and the blushers are so beautiful and classic. I think Light/Medium palette would make a fantastic present for both the makeup lover and novice. Medium/Tan has that stunning Rose Gold metallic shade (and was my first palette to pick up), the blushers are more intense (and very pigmented). It creates a warmer look bolder look. Tan/Deep as you would imagine has the deepest shade selection - again the metallic shimmer shade was so rich and pretty I was delighted to get this as a birthday present. The back of the palette gives the names of the shades and where you can place the shadows. 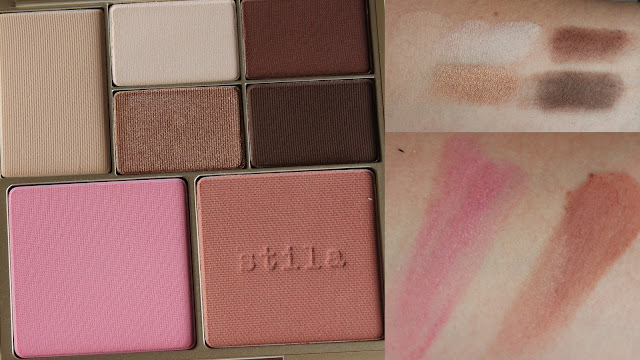 My Stila Perfect Me Perfect Hue palettes have been getting so much love and attention. 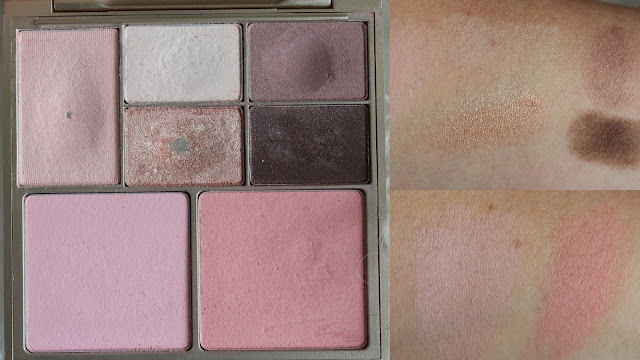 While I love a large makeup palette with lots of shades I generally tend to use the same shades over and over again, leaving some shades untouched. These palettes create beautiful makeup looks. Every shade in the palette is usable and wearable. 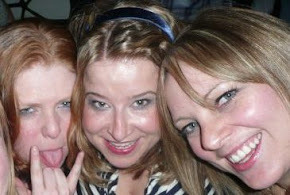 Take or leave them? I would leave the Fair/Light palette unless you are very fair. If I was to recommend one palette (ooo thats a tough one) I would say Light/Medium as I think its the most beautiful and universally flattering. 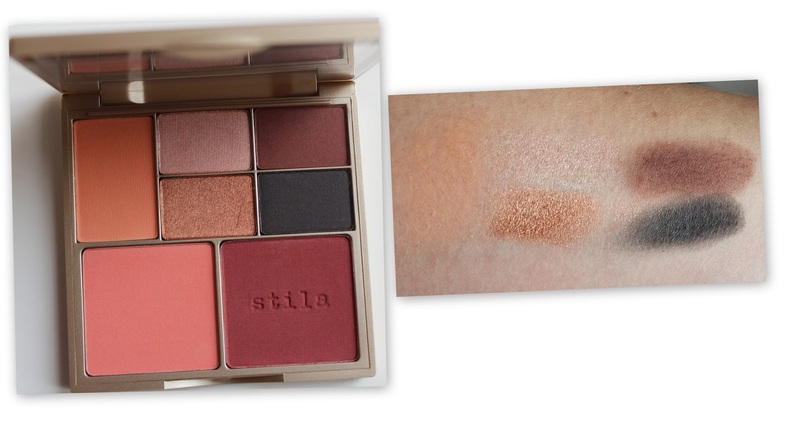 Stila Perfect Me Perfect Hue palettes cost €35.00 (bargain) and you can get them in Harvey Nicks Dundrum and at Stila.co.uk.